Kerala MBBS/ BDS Merit List 2018 - Kerala MBBS/ BDS Merit List is released on 20 June 2018 holding the Name of the Candidates, NEET Roll No and State Medical Rank. The first phase of seat allotment result has also been released by CEE, Kerala on 4 July. The medical aspirants can download the first Kerala MBBS counselling result from the page below. As per the order of the Supreme Court, the candidates required NEET score in order to get admission in any of the medical colleges in India. The state-wise counselling is done based on NEET merit. 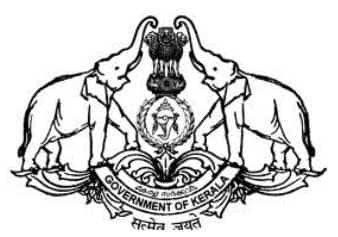 The link to download Kerala MBBS state merit rank is provided. Enter the CEE application number and date of birth to check Kerala MBBS merit list 2018. Candidates can check the Kerala MBBS/ BDS Merit List. Candidates can check the result of first allotment of Kerala MBBS and BDS 2018. Kerala MBBS first allotment result has been released on 4 July. The allotment result includes Kerala MBBS rank, name, course and category. Kerala MBBS merit list has been released. Aspirants need to enter the following credentials to download Kerala MBBS rank list. The link to download the merit list is provided on this page. Admission into MBBS/BDS Course will be done on the basis of the NEET merit score. The Commissioner of Entrance Examinations will prepare the Kerala state rank on the basis of NEET score, however, the applicants will be allotted seats in the Centralised Allotment Process. A special Rank list of the candidates will be made on the basis of the NEET 2018 Scores. After the release of the Kerala MBBS/ BDS Merit List, the Kerala MBBS/ BDS Counselling will be conducted for the candidates selected to appear in the seat allotment process. For any queries regarding the Kerala MBBS/ BDS Merit List 2018, you can write to us in the comment section below.